Yesterday I released the final design of my Pond Ripple Collection, Cookies cardigan. 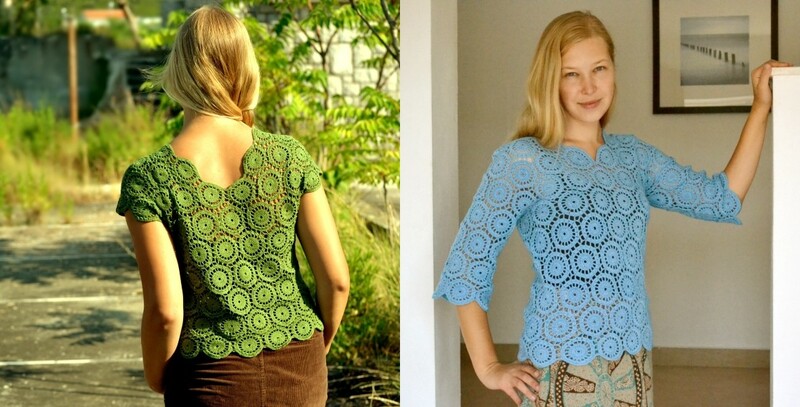 The simple beauty of the pattern of circles (which are, in fact, hexagonal motifs) and the illusion of needlepoint embroidery, (which I am so fond of) got me hooked for more than a whole year and made me finish 5 projects based on the same motif. 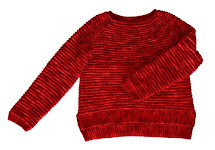 The first design, Pond Ripples, is a sweater, which can also be a sleeveless top if you prefer it that way. This was the first time I had added a pentagonal motif to the construction of the shoulders, which made this sweater fit like a second skin. This pattern also suggests a few possible modifications with extra layouts for a sleeveless version, a bolero and several neckline options. The second design was Cookies, but I took some time to release it and instead, having itchy hands, started another ripple project, Ink Ripples wrap. 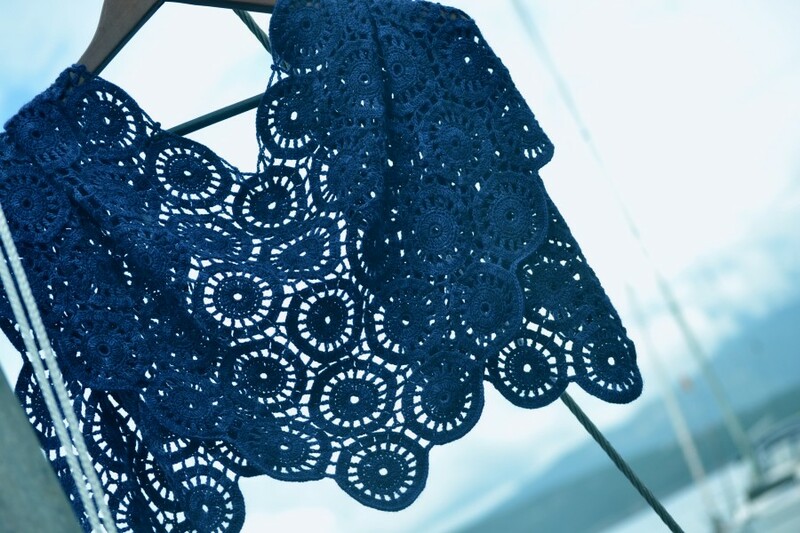 This pattern includes four layout diagrams for a scarf, a stole, a shawlette and a shawl. And, finally, Cookies is now live! This cozy cardigan is based on the classic raglan construction, while strategically placed pentagonal motifs are used to create smooth, flowing lines on the fronts, to achieve a straight neckline, and to taper the bottom of the sleeves while still maintaining the continuity of the circular pattern. All three designs are combined into an ebook or can be purchased individually. Happy crocheting!